If you know the music of Claudio Monteverdi, you know. 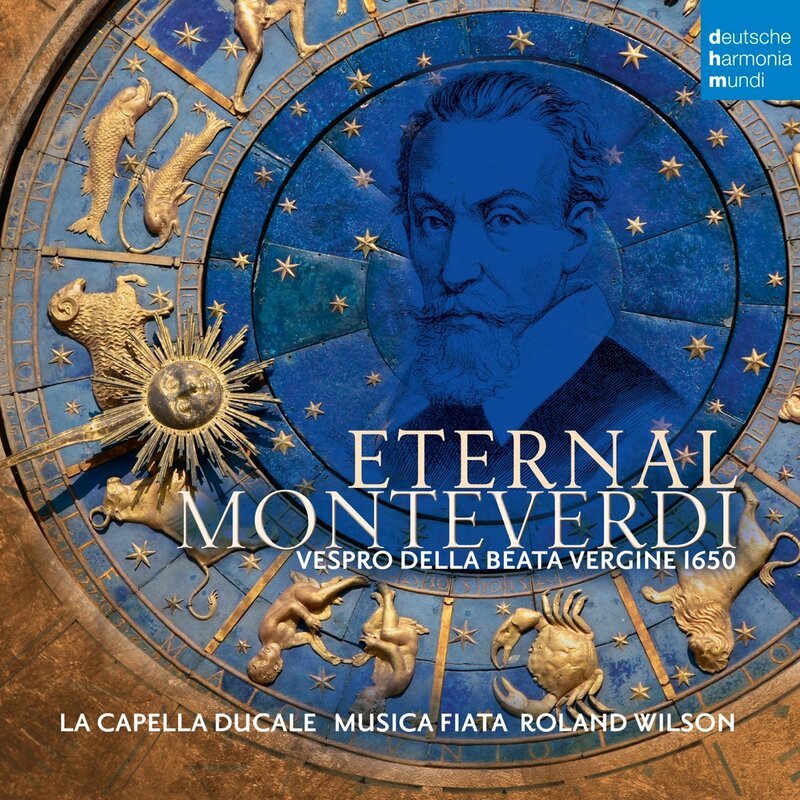 If you do not, now is the time with the new recording of "Vespro Della Beata Vergine 1650," otherwise appropriately dubbed Eternal Monteverdi (Deutsche Harmonia Mundi 88985375132), as performed by La Capella Ducale and Musica Fiata, all under the direction of Roland Wilson. This Vespers contrasts with the more famous 1610 work by Monteverdi, which I have covered on these pages (type Monteverdi in the search box above for that). The work in consideration today has its own merits. Five of the 14 movements were written by others, namely Rigatti, Neri and Guadi. Nonetheless the music has genuine charm. And it is not inferior so much as it is not quite as illustrious as the 1610 Vespers. The Sixteen's recording of that is slightly more essential than this rendition of the 1650. Yet Roland Wilson's performances of the 1610 with La Capella Ducale and Musica Fiata has all the period authenticity one might ask for. 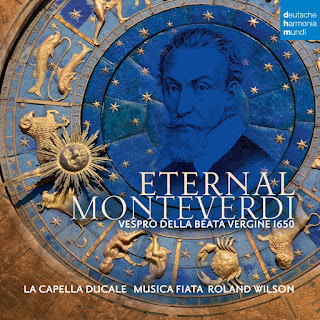 Any Monteverdi enthusiast will find this recording very much to their liking I think. Anyone coming to this period and/or composer for the first time will get something fully representative and foundational for future explorations. Go ahead! If you were only to say one thing about Austrian composer Ernest Toch (1887-1964), it might be "undersung." He is not quite completely "unsung," as there have been some very few recordings available in the States, including a long out-of-print LP of a song cycle on MGM in the fifties, but he has been tragically underappreciated nonetheless. A very happy exception is the recent release of Anna Magdalena Kokits' recording of some of his Solo Piano Pieces (Capriccio 5293). 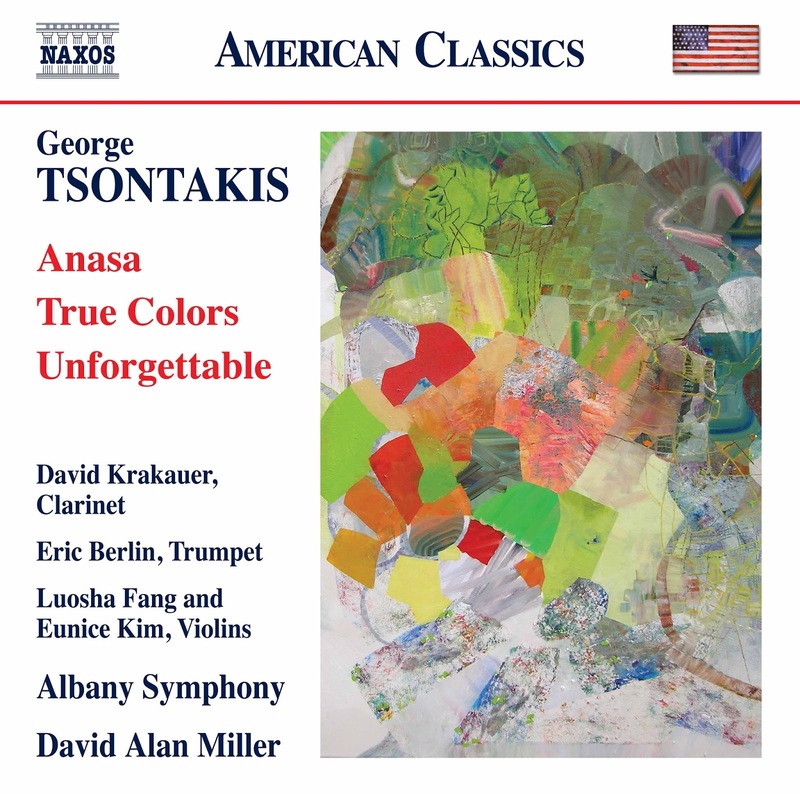 These are a choice selection of works from the interwar years (1923-1931), when he changed his essentially romantic approach to a very contemporary one, mostly post-tonal or marginally tonal, filled with an energetic brilliance and sounding not quite like any other. His father was Jewish and the Fascism of the war years undoubtedly played a part in what has ended up as relative obscurity for him. I do not know the full details. Wikipedia tells of his exile to the United States, his involvement in Hollywood film scoring, teaching, a Pulitzer Prize for his Third Symphony and a return to the romantic style. None of this should detain us for now. The music on the current album speaks eloquently without need for further biographical details. From the opening bars of the first work, "Burlesques" (1923), we know we are in the presence of a special sensibility. Chromatic and bitter-sweet, it is a distinctive and very pianistic world we enter, neither quite Hindemithian nor beholden to the Second Viennese School. 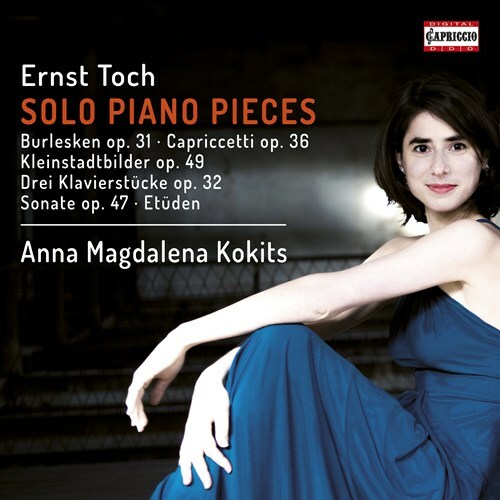 The atonality in this period of Toch is a relative one, since one might ultimately tie down what one hears to a key center. And some of the music is unabashedly tonal. There is a great deal more to it though than some close or distant holding to a key or a tonal gravitation. And that comes out in the phrasing and flow of the works, brought out so well in Ms. Kokits' performances. They are extraordinarily artful, inspired and original. The seven compositional forays represented on the album range from the relatively simple "Ten Etudes for Beginners" (1931) to the ambitious "Piano Sonata" (1928). The numerous collations of miniatures in the set show us an incisive side, an inventive wealth. 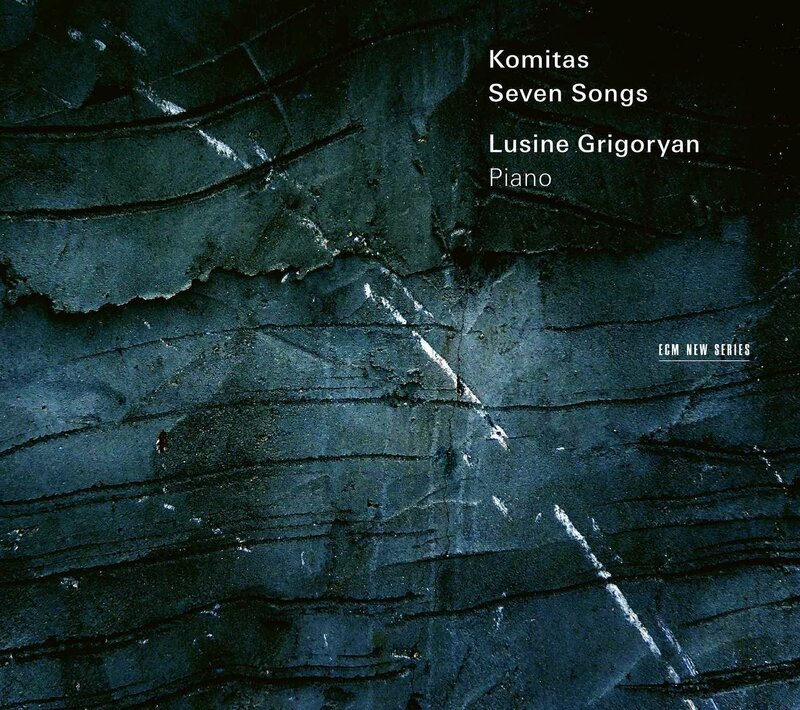 Some might be viewed illuminatingly as a sort of Austrian Satie in playful creative mood, others decidedly have some more Austrian elements, in a kind of modern position on the piano tradition going back to the classical masters yet only as if ghosted and transformed. The longer form works expand the conversational musical syntax appropriately. With the first listen and subsequent ones, the impression of an original musical mind at work remains constant. This particular grouping of Ernest Toch stands out as defining a 20th century figure much more than an "also ran." The album beguiles and intrigues without fail. Please consider this one seriously. Any student of the flowering of last century in its modern efflorescence will hear another fine voice in the din of competing possibilities. Do listen. 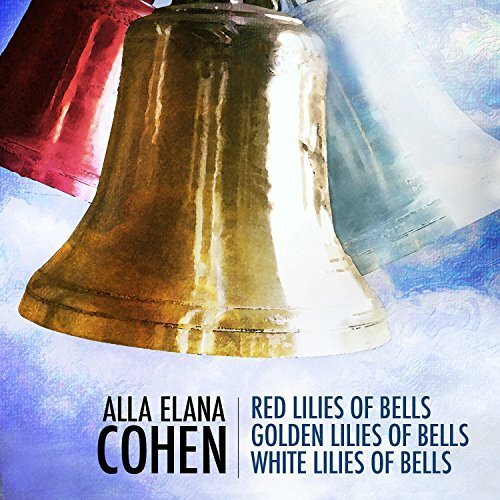 Composer Alla Elana Cohen and her chamber music are in the spotlight on today's featured album. Red Lilies of Bells, Golden Lilies of Bells, White Lilies of Bells (Ravello 7953). Ms. Cohen was born in Russia and came to reside in the United States in 1989, where she has stayed ever since. She teaches at Berklee College of Music in Boston. Seven works grace the program, each a world unto itself. There is an expansive modernism at play along with a certain mystical poetic quality at times. I also detect a Jewish-Russian Orthodox melodic element on occasion, sometimes not pronounced and quite subtle, other times more overt in keeping with the associative extra-musical theme. You can hear the more modernistic side on "'Inscriptions On A Bamboo Screen,' Series 4 for Soprano and Viola." There is an expressionist edge to be heard on this one and sometimes in the others. The contrast between the above and the more intimate, searching quality of "'Hoffmanniana' Series 3 for Solo Cello in 4 Movements" is instructive. 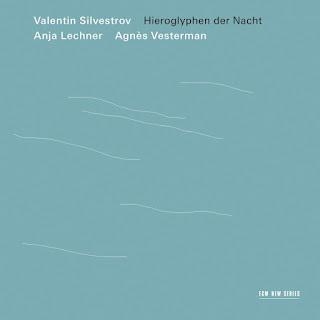 With the more fuller instrumentation of something like "'Inner Temple' Volume 1 Series 11 'Shabbat Nigunim' in 4 Movements'" we find tone-color beauty and a kind of inner spiritual yearning. Perhaps not surprisingly Ms. Cohen brings in a Jewish minor melodic element that has a kind of brilliant presence in the modernistic matrix. I love it. In all this makes for a strongly individual contemporary program. 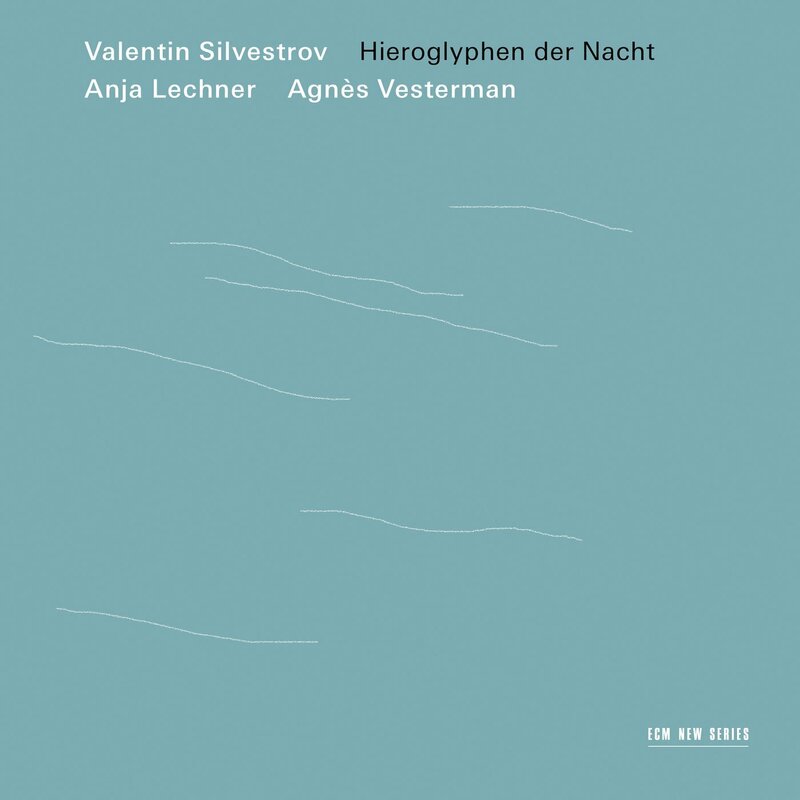 Ms. Cohen is not afraid to let her expressive needs take her far beyond a formalism or the sort of methodological rigor that we became used to in classic serialism. Those "scientistic" days may mostly be forever gone. Ms. Cohen occupies a healthy present. She uses modern means to embody ideas and feelings. And she does it in her own way. The music is richly meaningful and memorable. Anyone with a taste for new music will find it worth an extended visit and I hope a good number of return trips. Recommended. There is music waiting in the wings for you always, ready when you are. It is in printed form or manuscript (or if advanced jazz or other improvisational forms, existing powerfully in potentia). Somebody right now may be performing it somewhere. Then there are recordings, setting down a frozen musical moment in time after careful rehearsal. The performances are captured for you, waiting to be heard, released and only needing to be placed on your player. This morning I once again put on a good one, while I gathered my thoughts about what I heard. What is it? It is Fernando Sor (1778-1839) and his Songs for Voice and Guitar (Naxos 8.573686) as very nicely brought to our ears by mezzo-soprano Nerea Berraondo and classical guitarist Eva Beneke. Sor in his day was a major virtuoso among guitarists. His songs have an earthy beauty that make them essential, yet they are not often performed now. So lucky for us the recording playing for me again this morning can be enjoyed whenever we like. Music like this, or even all music like anything, needs performance magic to bring it alive. Something as delicately balanced as voice and guitar music demands special performance care. 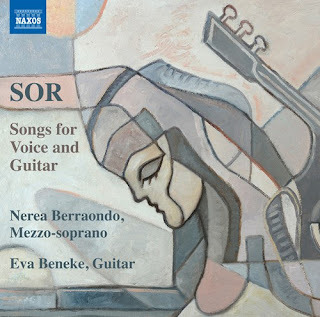 We get it in Nerea Berraondo's very musical voice, with a bit of heft when needed but never Wagnerian in its intensity, tender and rousing in turn, seemingly recorded without overly close miking so that she does not overpower Eva Beneke's wonderfully nuanced guitar work. As to the music itself, there is much in the way of very melodically vibrant and ornate songwork here. "Italian Arias" include a few from Mozart's Don Giovanni. They have genuine but imaginatively altered authenticity as beautifully worked re-scorings. The "Spanish Songs," quite a good number of them, are strong and most characteristic--and irresistible. The "French Songs" add another dimensional strength and a couple of "Spanish Patriotic Songs" end the program with a captivating verve. This is one of those delightful surprises where I had no set idea what to expect and then found with exposure that I had grabbed onto some of the finest music and performances that I didn't know I wanted until I heard it all! Like meeting someone who ends up being a good friend in a seemingly unlikely place, I treasure it all the more for the vistas it has opened up without my being quite prepared for it. Anyone who loves Spanish classical and/or the guitar heritage will welcome this disc. It feels just right as a listening choice any time or season. Highly recommended. To use a compound descent-location identity marker for a composer is usually to say that the music has more about it than perhaps a single wide neighborhood belongingness would indicate. So in the case of Mark Nowakowski (b. 1978) he is designated Polish-American on the CD at hand today. It happens to be apt because the chamber music program on Blood, Forgotten (Naxos 8.559821) has a thematic element directed toward the Polish homeland and its three centuries of upheaval and instability. The suffering of the people in the hands of political adversaries centers the musical dramatics. A strong dirge-like grief is present in various ways throughout. 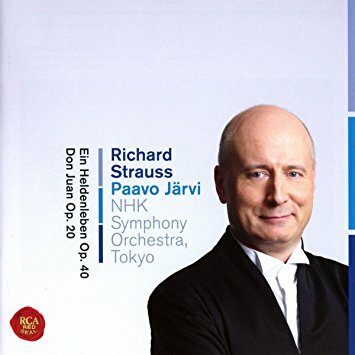 Modern traces of Penderecki and Gorecki are forebears in the programmatic and often emotional intensity of these. The music is for small string groupings. 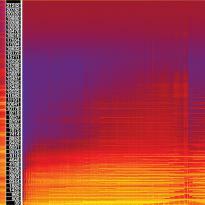 The title work (2005) is for electronics and Emily Ondracek-Peterson on violin. The Voxare String Quartet are the principals on the other works: "String Quartet No. 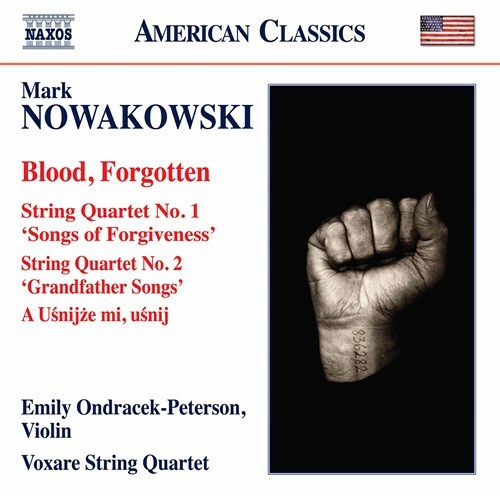 1 'Songs of Forgiveness'" (2010), "String Quartet No. 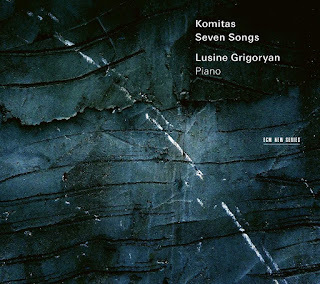 2 'Grandfather Songs'" (2011) and "A Usnijze mi, usnij (Lullaby: Sleep for me, sleep)" (2012). The "Blood, Forgotten" work is a heartbreaking, haunting combination of sorrowfully expressive violin and eerie electronics. The violin has doubled and tripled lines in the electronic track and there are other gestural electronic punctuations. 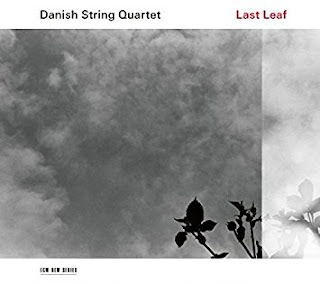 Nowakowski's First Quartet has some of the more energetic music of the four. There is much to hear in the agitated section, and then the dirgely slow blocks of stark, open chords make for a distinct lamenting mood that we hear often enough in most of this music.The blocks can resolve into the related slow speech of a four-way counterpoint, too. And it all works together. Think of Barber's famous "Adagio" and Gorecki's most popular symphony (No. 3), then add some of the dramatic depictive expressivity of earlier Penderecki, mix it all up and then include Nowakowski's very original way and that may help give you an idea of how the music sounds. Deep down all of this relates obliquely to Beethoven's "Funeral March" from Eroica. And also the regret of Beethoven late quartets at times. And so there are strands of belonging to a continuum of sad expressions. Yet this is Nowakowski. Make no mistake. It all fits together as pieces of a larger style-puzzle that is moving and irrepressible. This music demands you enter into it on its own terms. 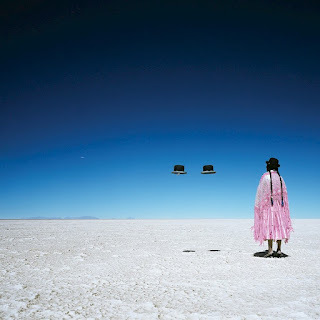 If you do there is singularity and undeniable modern musicality. It is the opposite of Webern. There is no short hot potato pointillism, but instead a long, sprawling, endless block of anguish transcended by the beauty of how the music lays out. The continually blowing wind of new music to hear requires that we point our aeolian wind harp in the direction of the oncoming blasts. We then must listen and see how it resonates with our receptive "strings." Any new music requires this, and ideally we must let it blow into our harp-like heads a number of times before we grasp what it IS. That is the case with these rather deep Nowakowski musing laments. It is good. The performances are excellent. The music special. Listen. 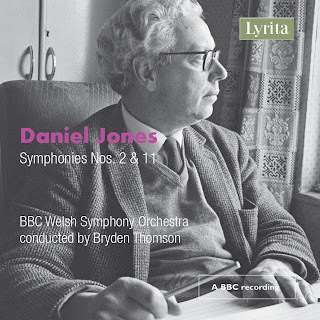 Welsh Composer Daniel Jones (1912-1993) is best remembered for his 13 symphonies, which he defined as "dramatic structures with emotive intention." He is represented on today's disc by an early and a late example of his work in the medium, Symphonies Nos. 2 & 11 (Lyrita SRCD 364). It is a respectable performance by the BBC Welsh Symphony Orchestra under Bryden Thomson. 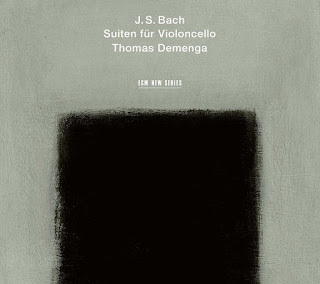 Judging from the catalog entries in the back of the CD booklet Thomson aims to cover the complete cycle. Since this one is marked ADD I suspect they all were recorded a while ago? The sound quality is not quite audiophile level. What matters is that we get a faithful representation of what these symphonies are about. Jones began composing early in life and in youth established a friendship with Dylan Thomas. The two collaborated on a number of poems. Jones ended up getting his BA and MA in English. His MA thesis was on Elizabethan poetry, and his ancillary exposure to the music of that period influenced his melodic conception, so says the liner notes. He studied composition and conducting (with Harry Farjeon and Sir Henry Wood) at the Royal Academy of Music. His recognition as a composer first came in 1950 with his "Symphonic Prologue." 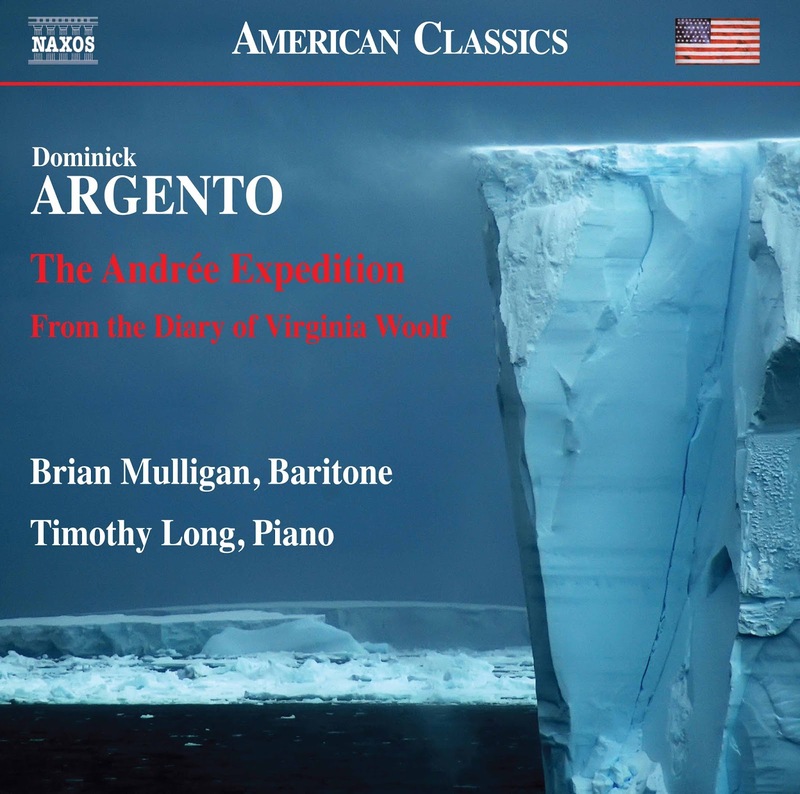 Thereafter he gained attention and amassed a sizable number of works in all genres as well as conducting. Symphony No. 2 was completed in 1950 and is a longish, ambitious work clocking in at nearly 44 minutes. It has a modern edge to it but hearkens back in some ways to Neo-Romantic expression, more extroverted than some and edgier than Elgar. And there surely are brilliant moments and an attractively wayward individuality. Symphony No. 11 is shorter, more compact and shows an increasing originality and orchestrational flair. He was no rabid modernist but neither would either symphony be mistaken for an earlier period work. He was of his time. And sure of his direction from the 1950 work as well as the later symphony from 1983. Any musical Anglophile will be well served by this volume. It shows us a Daniel Jones who travelled a path of his own, emotive and drenched in Romantic symphonic tradition, yet speaking to his era. Well worth hearing. On July 3, 2016 I favorably reviewed Volume One of the Complete Works for Piano of Charles Villiers Stanford. 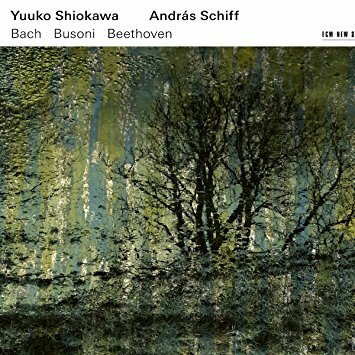 Today I cover Volume 2 (Sheva Collection 125), once again performed nicely by pianist Christopher Howell and filling up two CDs. Stanford (1852-1924) is not as well remembered today as compared with his stature in England during his lifetime. He is perhaps best celebrated nowadays for his choral works. The music for piano shows a rather different aspect of his music. 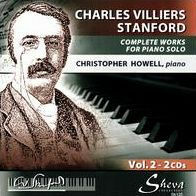 Like Chabrier in France, Stanford produced a body of piano music not really neo-Romantic, not exactly neo-Classical, not much dependent upon great flashy technical skill, but rather a kind of pure musicality that is by no means harmonically advanced but straightforward, no mere trifles by any standard. It is what you might call a combination of Salon and Pedagogic music, but none of it has a pretentious or highly sentimental outlook. What you do hear is very English, some miniature stately pomp, lightheartedly tuneful ditties, and pastoral, rustic folksy-tinged works which no doubt Vaughan-Williams and Holst gained from as a prefiguration of what they more fully developed. Like with the first volume there is an unexpectedly disarming quality to the whole. It does not pretend to a ponderous importance and by so doing brings nonetheless delightful piano music that neither seems quite dated nor does it fully transcend its era. And in that way we intersect with some worthwhile music. Volume Two forms a perfectly enjoyable counterpart to the inaugural volume. I will return with my take on the final volume three in a little while. Meanwhile these are a bit of a surprise treat!